Technology is advancing in today’s world; most things are being done using the internet. Individuals have switched to digital; this allows them to communicate to people in a compelling way and a short period. It is through website hosting that makes it possible. Therefore, it is crucial to understand some aspects of web hosting. 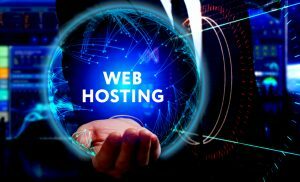 Here are different types of web hosting. You can also call it virtual hosting. It entails sharing of servers, where a company can share servers with its clients. The host will manage the server where you will pay a little charge compared to what clients will pay. Another business can use the server, but it leads to high traffic which may affect its performance. Cloud hosting works by taking several devices to create one or several virtual servers. Various machines, therefore, use the server. Once you have your website on a cloud or group of servers, there could be of low downtime. There is little traffic thus your site can operate well. If one server crashes, your site will still keep on functioning as it connects with other servers. It is the best as there is minimal downtime. It comprises of both managed and unmanaged dedicated hosting. You will need to lease servers from the host, but you will not own it. The host or the company will offer you support and maintenance services at an agreed fee. The facilities include warranty and monitoring of the server. Dedicated hosting is ideal when the budget is tight. The different types of website hosting allow you to make a sound decision. It helps you understand on which host works best for your company and which ones suit your budget line. It will, in turn, save you from harming your website or wasting your time and money on servers that do not work for you.